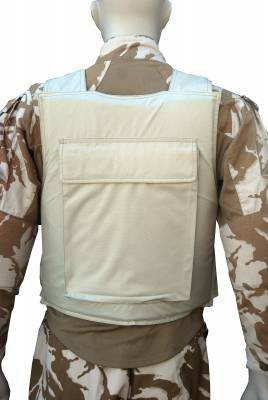 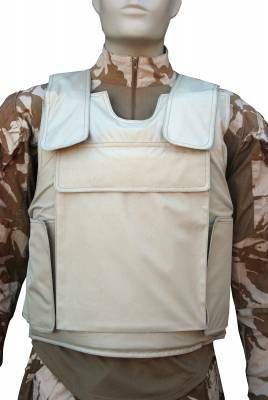 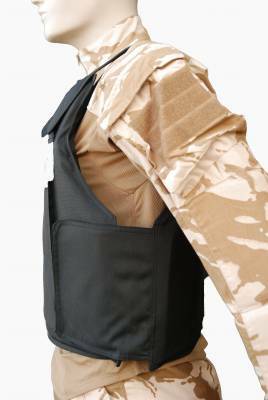 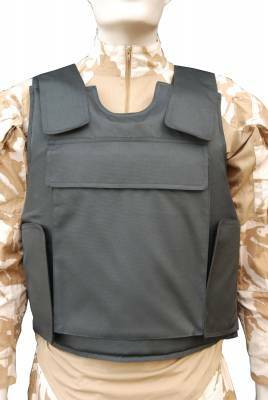 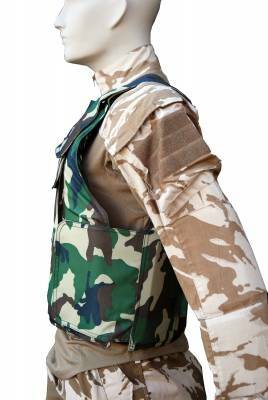 Our ballistic vests are bullet proof up to level NIJ IIIA to the latest NIJ 0101.06 standards using our latest advanced ballistic fibre material. 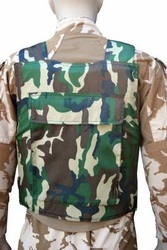 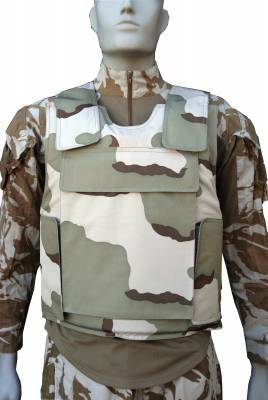 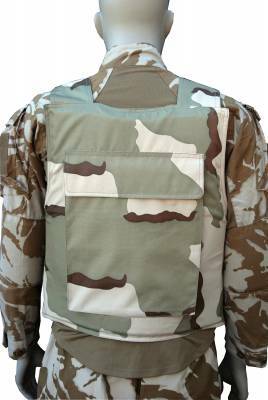 With pockets front and back for ballistic hard armour plates, they can easily be upgraded to level NIJ III and NIJ IV. 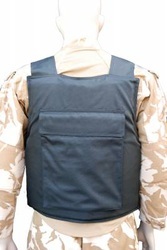 At the same time, they are lightweight and highly adjustable to enable easy rapid movement. Maximum soft armour NIJ IIIA protection, stopping 44 Magnum. 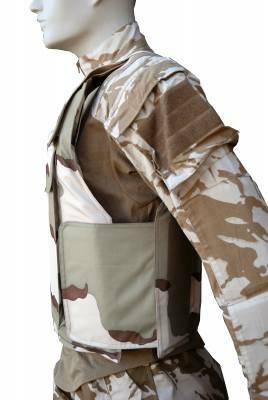 Highly adjustable at waist and shoulders to fit all body types. 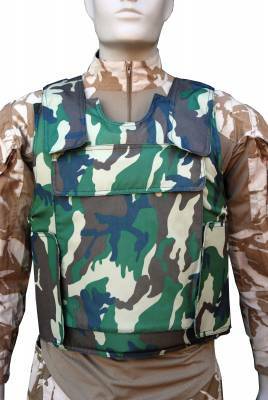 Several camouflage patterns and colours available. 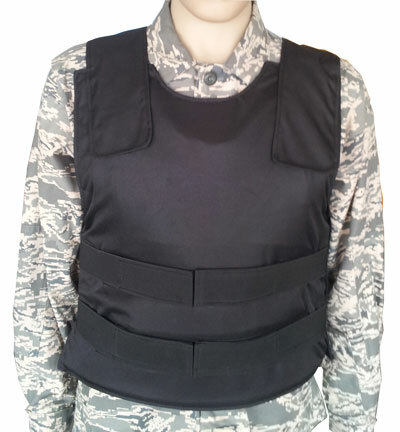 Extra NIJ IIIA (9mm) protection providing more comprensive protection than NIJ II. Rugged, durable yet comfortable rip stop 500D nylon cover. Inner mesh to increase ventilation and prevent perspiration. Low profile strapping to prevent visibility under clothing. 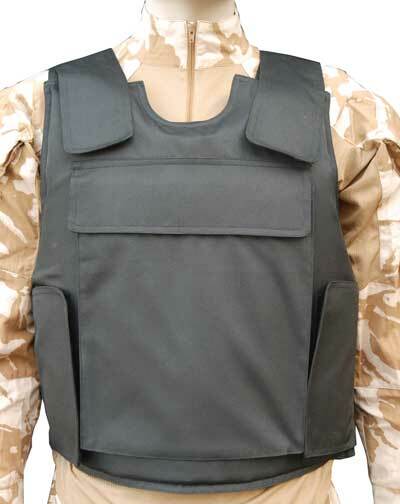 *Delivery within 2-3 working days of payment usually by UPS Express service. Please click here for our privacy and refund policy. 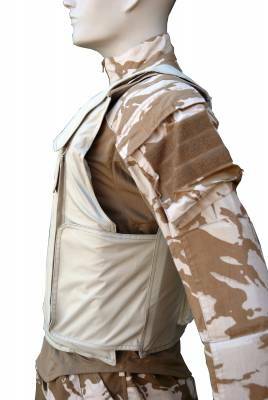 Click on the images below for a closer look! Choose from black, light brown, woodland and desert camouflage.